If you would like to discuss any aspect of your recruitment requirements please do not hesitate to contact us. With a team of consultants who can handle any of your concerns we are sure we can make your recruitment process a rewarding experience that adds real value to your business. 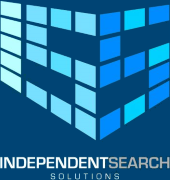 Please give us a call on – TEL: 00353 (0) 98 23800 Or via email – p.fitzmaurice@independentsearchsolutions.com.